As the current issues with privacy in social networks start to get a lot of attention from the online society as well as traditional media, I though it would be time to have a look around for alternatives. And indeed I found interesting new solutions to this “old” problem. But let me start by analysing the current state of social networks. Another issue arises, when one of your social networks decides to change its policies in an unacceptable way. Currently you have two choices in this situation: leave the network and loose contact to those friends or accept the uncomfortable changes and for example show more information publicly than you intent to. 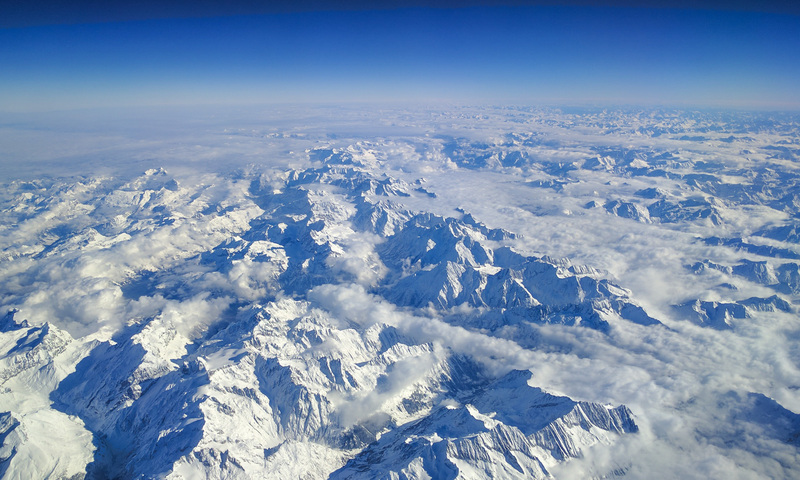 The image described above changes dramatically if we look at how many people with their web-based e-mail accounts. One friend is registering with GMail, another one with his ISP and yet another one (a geek like me 😉 ) is running his own e-mail server. Yet noone wonders that UserA@gmail.com can send a mail to User2@t-online.de! And even that geek renting a server or running his own infrastructure can obviously communicate with both of them. Should one of the e-mail providers turn rogue, a user can just get a new e-mail account at a different provider and still stay in contact with all his friends and colleagues in his address book. Wouldn’t this be nice for social networking?! Well, this is basically what OneSocialWeb (OSW) provides! 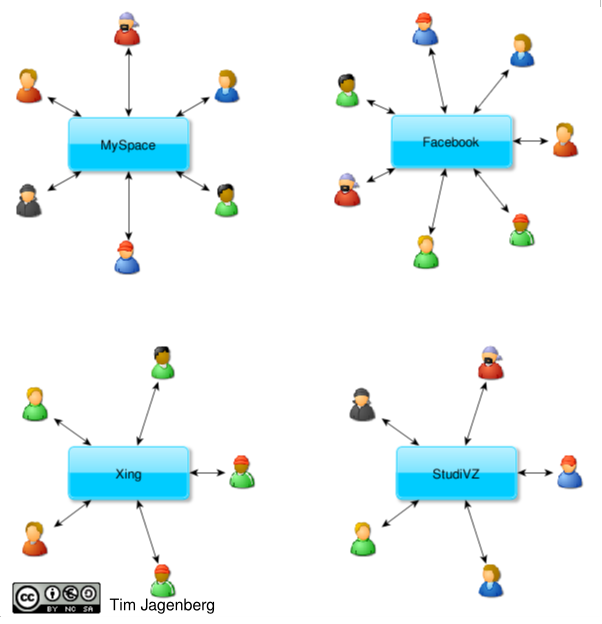 Based on the communication protocol XMPP (formerly Jabber), which is standardised by the Internet Engineering Task Force (IETF), OSW provides a social networking experience, which is very similar to web-mail. 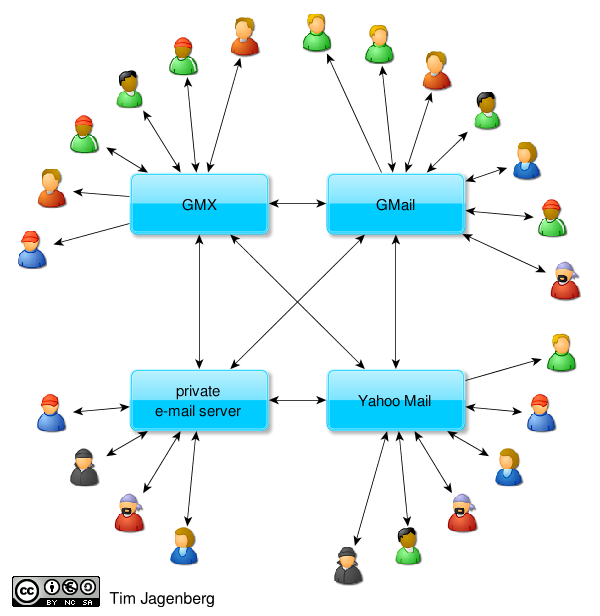 Individuals (like me) or commercial organisations (like GMX or GMail) can run their own social networking platform and the individual end users registered at these platforms can freely communicate with each other. 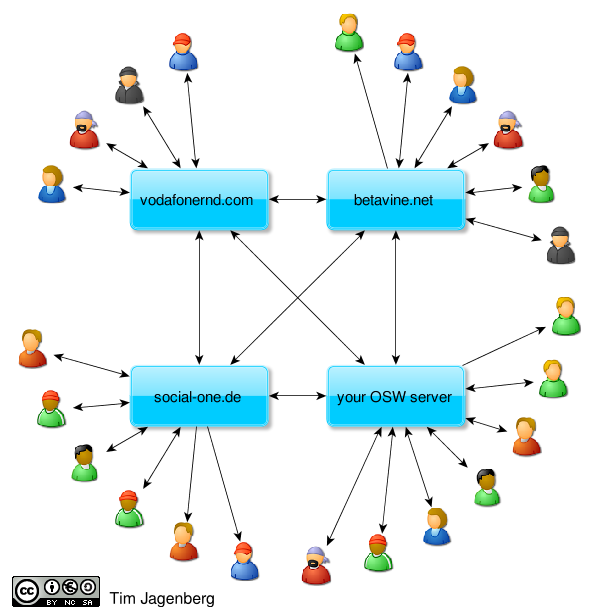 OSW supports the known ways of communication in social networks, like creating realtionships between people (“friend”, “follow”, …) and exchanging updates on current activities. Similar to e-mail, the end user can just switch the social networking provider, without loosing contact to his friends. If you are interested in trying out this new approach to social networking, write me an e-mail or a comment, and I can create a testing account on http://social-one.de/, which is a test platform without commercial intent, hosted on a rented server. A traditional web based client (http://social-one.de/), which would be familiar to most users coming from traditional social networks. As this is still in alpha stage, it does not provide the full functionality, yet. A text based client on the console, which is not exactly the most convenient way of interacting, but it is the client supporting most of the current functionality of OSW. I hope this is a helpful introduction to federated social networking. Many thanks to all the developers around the OSW project, you’re doing a great job! Great summary, Tim! Honestly, the information provided on their own page is hardly understandable for users (don’t know about developers). Looking forward the testing. Btw any news if they plan an iPhone app?